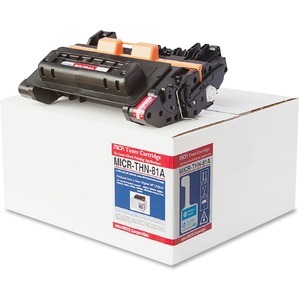 Newly manufactured toner cartridge is designed for use with Hewlett-Packard LaserJet M604N, M604DN, M605N, M605DN, M606X, M606DN, M605X, M630DN MFP, M630F MFP, M630H MFP, M630Z MFP and matching Troy series. Magnetic image character-recognition ink is used for security purposes in printing checks. Standard-yield cartridge yields approximately 10,500 pages.